Police departments across the United States have a problem. Their officers, it seems, are leaving in droves, and have been for quite some time. While you have probably heard much about the shortage of nurses, teachers, and S.T.E.M. careers, you’ve probably seen very little in the news about the struggles law enforcement agencies face in recruiting and retaining police officers. 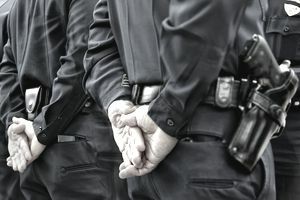 The North Carolina Criminal Justice Analysis Center conducted a study that concluded law enforcement had a higher attrition rate, at 14 percent than both teaching and nursing, which clocked in at 13 and 12 percent, respectively. If criminal justice agencies are to continue to ensure the public’s safety, they need to learn why their officers are leaving and what to do about it. It’s well accepted that law enforcement careers aren’t for everyone, and a simple fact is that many individuals who believe they want to be police officers soon come to realize the job just isn’t the right fit for them. In fact, according to multiple surveys from numerous states, the majority of officers who quit do so within the first 5 years of service, and most of those within the first 2 years. New officers quickly get a glimpse of the reality of the job and realize the criminal justice system isn’t what they thought it was or doesn’t work the way they thought it should. They experience frightening or traumatic events and unexpected job stresses, or they discover they were unprepared for the strain that shift-work and irregular days off places on personal and family life. This issue needs to be addressed at the entry level when recruitment starts. Departments can reduce attrition from resignations by better educating applicants about the realities of the job. They can also work to identify the characteristics of officers who stay and focus recruiting efforts on individuals with similar traits. Pay is, not surprisingly, a huge motivator in officer attrition. Generally speaking, law enforcement salaries are – on their face – respectable, especially when you consider that the job often does not require a college education. However, when taking into account the bad hours, the stress that comes with the job, the loss of days off due to court or other special details, and the evenings and holidays and other family time missed, the compensation often doesn’t appear to be commensurate with the experience of the job. Many officers simply leave for better-paying opportunities, either in the private sector or for more lucrative federal law enforcement careers. Unfortunately, salary and pay are often largely beyond the control of a police chief or sheriff. To make up for perceived salary disparities, departments need to get creative and identify other rewards and perks for officers’ service. Permitting the use of take-home cars for minor personal errands – with certain restrictions, of course – is one example of a job perk that can positively impact home life with a little-increased expense to the department. Many officers end up leaving because they feel that the job they do goes largely unappreciated, or at least under appreciated. Many officers realize their jobs are very important but don't feel that their superiors understand or recognize the important work they do. Robust and meaningful employee recognition programs can combat some of this. The key word is meaningful. Any employee recognition should have value. A gift card, a trinket, whatever it is, any reward should be well thought out and take into account the likes and desires of the officers, or it will fall flat. Law enforcement leaders who get out from behind the desk from time to time and work alongside their members, too, can demonstrate that the “brass” still knows what it’s like to do the job. A well established and meaningful wellness plan, too, can go a long way toward demonstrating that your department cares for its officers. The biggest step departments can take in reducing the attrition of their officers is to demonstrate that they recognize the important job they do. Police officers want to know that the sacrifices they make matter, and they need to be shown from time to time that the people above them know they matter, too. Finding creative ways to add value to the thanks and appreciation you give your officers can go a long way toward helping them conclude that the frustrations of the job are well worth the intrinsic and extrinsic rewards that come with a career in law enforcement. What's the Right Criminology Career for You? What Are Conditional Job Offers in Criminal Justice Hiring Processes?